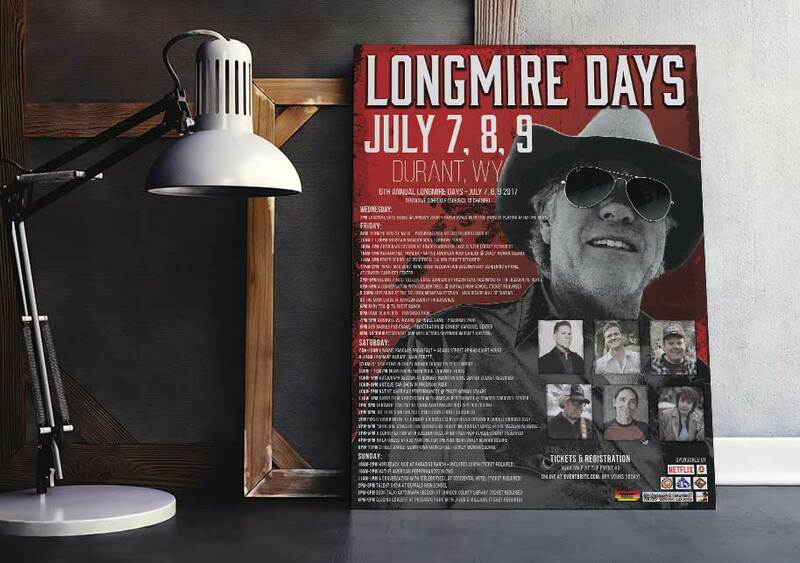 Longmire Days, a festival celebrating the long running Netflix series, based on a series of novels who’s author hails from Buffalo, is an annual meet and greet, full of fun activities for all ages. 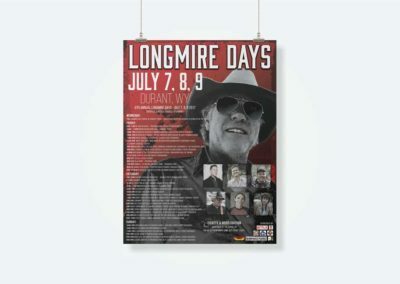 In celebration of Longmire Days, the Buffalo Chamber of Commerce was in need of Posters, in 2 different sizes, offering a Schedule of Events, for both purchase and advertising. 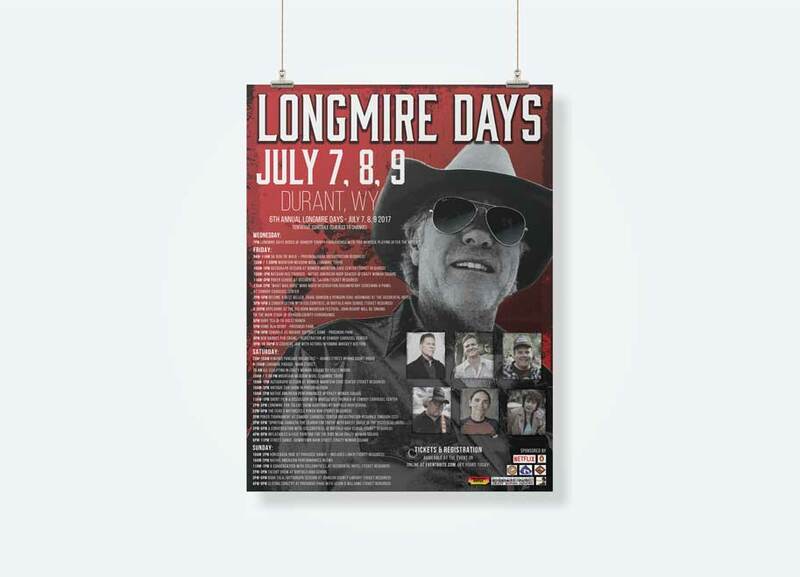 We went with the series’ color scheme, and an edgy silhouette effect on “Walt Longmire’s” picture with a grunge effect for the background. 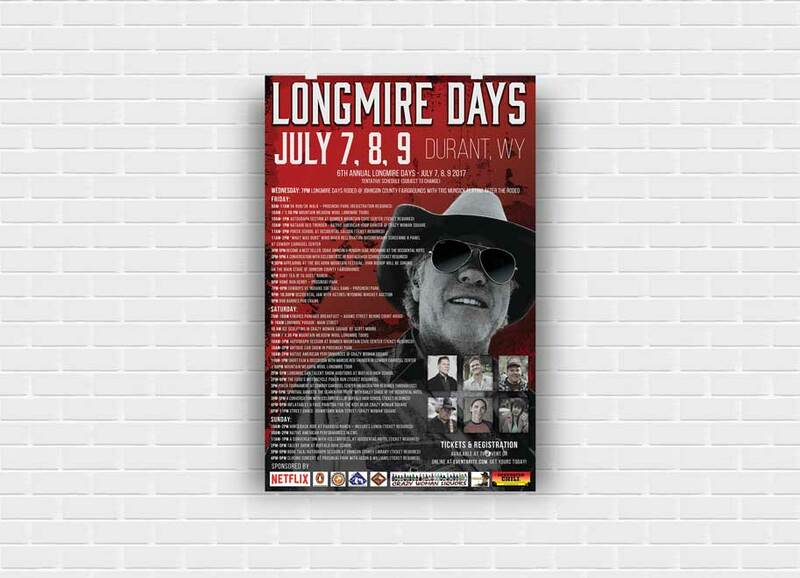 Adding faux torn edges and toned down colors on the images of the other actors, tied it all together. We also created the graphics for swag, including plastic tumblers and magnets. 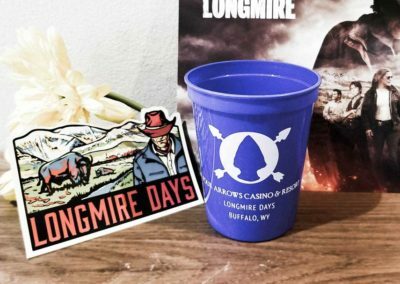 The tumblers featured a logo design for the 4 Arrows Resort (an establishment on the television series) and the magnet featured the hand drawn artwork of J. Bell, vectorized and cut out for the magnet. 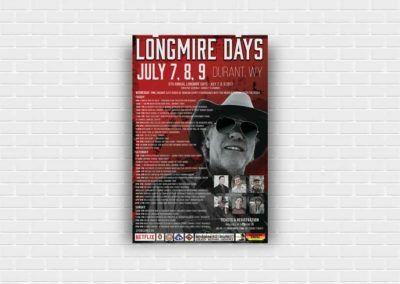 If you’d like to learn more about Longmire Days, we encourage you to take a peak at the article in the Buffalo Chamber of Commerce Pathfinder 2017 Publication.